Busted have grown-up without growing old with their fourth album ‘Half Way There’ which is out now and currently sitting at Number 2 in the album charts. It finds the trio returning to their hyperactive pop-punk sound for the first time since 2003’s all-conquering, multi-Platinum album ‘A Present For Everyone’. Today, they also announce two extra shows on 24th March at Newcastle’s o2 Academy and 25th March in Southampton at O2 Guildhall. Ticket’s for the extra dates will go on pre-sale on Wednesday 6th February at 9am and on general sale on Friday 8th February at 10am. 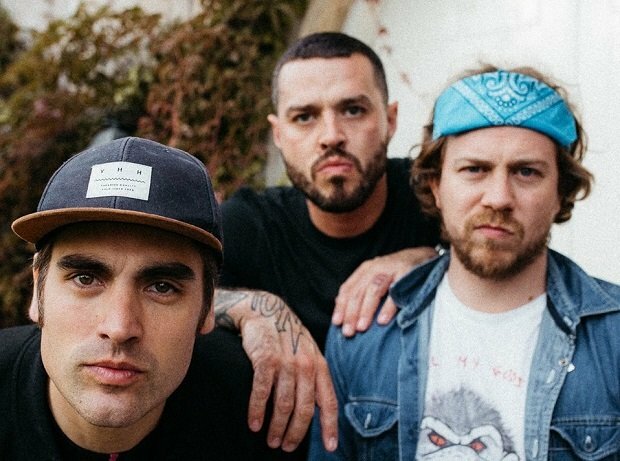 The return of Busted has seen the pop-punk power trio go back to the future as they prepare to reignite their glory days. The started the campaign for the new album by playing three chaotic sold-out shows in a day at the 100 Club, and then dropped a throwback video for ‘Nineties’ which revived the days of Top of the Pops, Blind Date, Nirvana and white-suited boy bands. To cap it all, their recent track ‘Reunion’ shot to #1 on the iTunes Rock Chart. Capturing the band’s larger-than-life personalities, the album cover was conceptualised and shot by Rankin, who also directed the video for ‘Nineties’. ‘Half Way There’ has been released on streaming, download, CD, black vinyl and coloured vinyl formats. The album is available to buy from https://lnk.to/busted-halfwaythere.